HMH Books for Young Readers, 9781328973450, 24pp. 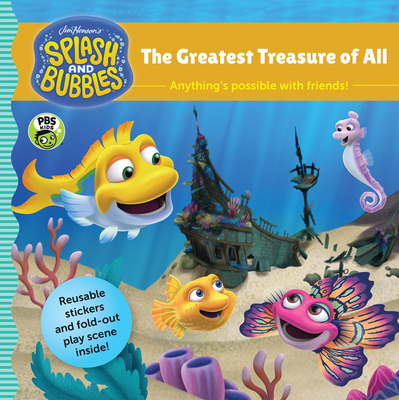 A colorful tale from the world of The Jim Henson Company's Splash and Bubbles on PBS Kids, complete with fascinating Fin Facts and a bonus sticker play scene! In this story, Splash, Bubbles, and the Reeftown Rangers embark on a treasure hunt. They learn a lot about ocean life along the way, and discover they already have their greatest treasure of all in their friendships with each other.